SAN FRANCISCO--(BUSINESS WIRE)--Moovit, the world’s largest urban mobility data and analytics company and #1 transit app, today announced it will integrate its public transit information to Azure Maps to help developers build richer apps for billions of commuters around the world. 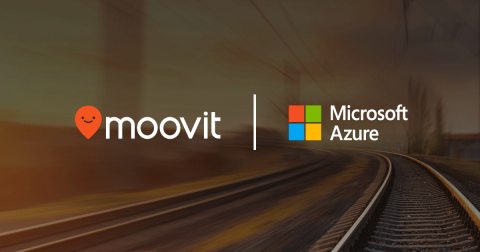 As part of the collaboration, Moovit will run its public transit data and services APIs on Microsoft Azure and will gradually migrate its other products to Microsoft Azure. Microsoft can also integrate Moovit’s public transit data in its first party applications and services. For instance, Azure Maps could provide proactive notification by Microsoft Cortana about a person’s commute by providing real-time transit information. “Developers and customers alike have been asking for a comprehensive mapping solution that brings together location awareness with public transit data to provide a full picture,” said Tara Prakriya, Group Program Management for Azure Maps and Connected Vehicles, Microsoft. “By offering location awareness with public transit data on Microsoft Azure Maps, developers not only can create more sophisticated and smarter, real-time location-based apps, but our cloud customers across a variety of industries like automotive, public sector, manufacturing and healthcare will be able to leverage this data to continue to improve how people get around and get access to services globally. Microsoft is committed to helping industries figure out the best option for each and every mile along the paths to help their employees, customers and field services resources. Moovit's world-leading coverage will allow Azure to provide its customers with the most comprehensive and accurate transit data services,” Prakriya concluded. Moovit (www.moovit.com) is the world's largest urban mobility data and analytics company and the #1 transit app. Moovit simplifies your urban mobility all around the world, making getting around town via transit easier and more convenient. By combining information from public transit operators and authorities with live information from the user community, Moovit offers travelers a real-time picture, including the best route for the journey. Named Best Local App by Google in 2016 and one of Apple’s Best Apps of 2017, Moovit launched in 2012 and now has 300 million users. Moovit to provide public transit data for Microsoft Azure Maps to help developers build richer apps for billions of commuters around the world.